Think twice the next time you flush the toilet - you may just be wasting a whole lot of usable energy. Last July, scientists from Ohio University announced that they were working on a new source of renewable energy, one that could possibly be used to fuel cars and heat homes: urine. When an electrical current was added to a pool of urine containing a specially-designed Nickel electrode, they found that the "pee pee" released hydrogen gas, a renewable energy source. One of the barriers to the development of the hydrogen fuel cell has always been the difficulty in producing, storing, and transporting it. Who knew all we had to do was look in our own bladders? 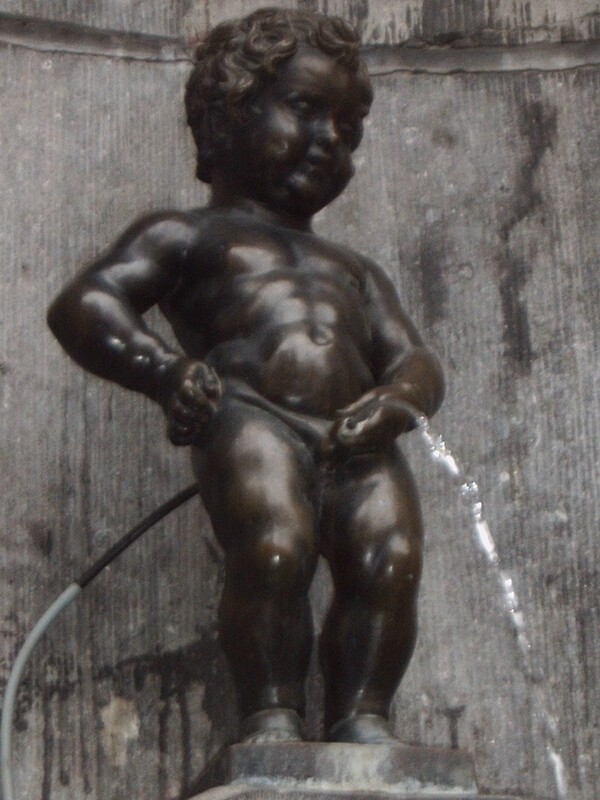 The pee power doesn't necessarily have to come from our trips to the bathroom. Utilizing urine as an energy source might actually help to solve another problem that farmers deal with every day - what to do with all that animal waste. The urine from a farm's cows, which is currently pooled as per government regulations, may soon be able to power the entire operation. On the human side, this idea may also help us make use of what normally would be dumped back into the lake as municipal waste. The team of scientists, pictured above, are currently working on a way to commercialize the technology for use within the next year or so. Saving the planet was never so easy! Read more about pee power here. UPDATE: This week's Economist had a great article on using human waste as a renewable energy source, titled The Seat of Power. It details the latest developments in sewage treatment technology that will allow scientists to extract the methane that is released by feces as it is broken down. The methane can then be used as an energy source. Read more about it here.